LINN COUNTY — Law enforcement authorities are investigating a drowning and have identified the victim. 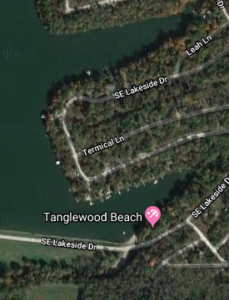 Just after 12 a.m. Wednesday, the Linn County Sheriff’s Office received a call of a possible drowning or missing person at Tanglewood Lake, a private lake in Linn County, according to Ron Kauffman with the Kansas Department of Wildlife, Parks and Tourism. According to witnesses, the victim identified as Melvin Eugene Stierwalt, 55, of Kansas City, Kansas, had been swimming with them near a swimming platform, and they saw the victim jump off of the platform into the water but did not notice anything wrong at that time. Some time later, they reported they could not find the victim, and they called authorities. A Kansas game warden, Linn County Sheriff’s deputies, Osawatomie Water Rescue and the Linn County Fire Department responded to the scene. Officials searched the area and the lake in the early morning hours but were unable to locate the victim, and the search was called off until it was light enough to resume. At about 8:30 a.m., game wardens using a KDWPT patrol boat equipped with side-scanning sonar began searching the water while Linn County Sheriff’s deputies searched the shoreline. Game wardens recovered Stierwalt’s body at about 12:05 p.m. Wednesday.